Cultures throughout the world, and since ancient times, have had or continue to have mask traditions. Masks are still popular today among societies which haven’t yet been touched by modern industrial development and are often still part of modernizing countries’ rituals and traditions. Ancient masks often had some religious or ritual significance. In the United States, Halloween and Mardi gras are still celebrations that give people an excuse to wear a mask for disguise and fun. Masks have a certain magical quality about them. If you have ever seen anyone wearing a mask, you know how strange—or frightening—it is to see a face whose expression never changes, whatever the person behind the mask says or does. The major focus of this packet is the element of FORM. Masks can usually be measured in three different directions—from top to bottom, side to side, and most masks also have a measurable thickness. If something can be measured in three directions (height, width, and depth) it is a FORM. A form is three-dimensional. Various three-dimensional forms found in art are considered SCULPTURE—including masks. (Grades 3-5: Discuss and compare the difference between three-dimensional FORM and two-dimensional SHAPE). Most masks are examples of Relief Sculpture—the protruding three-dimensional parts are connected to a background. 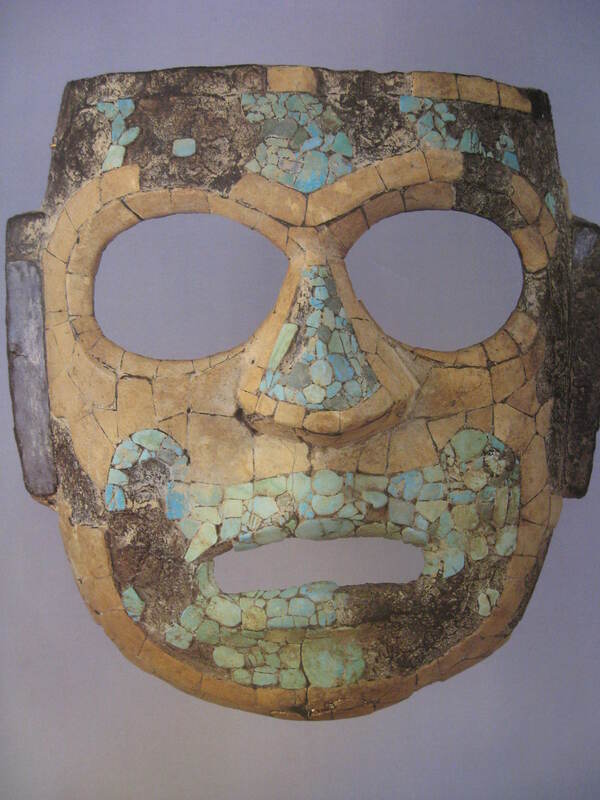 Carved masks (where material is trimmed away) are considered Subtractive Sculpture. 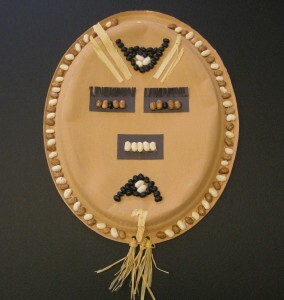 Masks created by assembling together a variety of materials (feathers, grasses, shell, bone, etc.) are Assemblage Sculpture. The King Mbuembue (hm-BOM-bo) African mask, created in bronze using a mud mold formed over sculpted wax, is an example of Cast Sculpture. This type of sculpture (bronze statue) is very common today in parks and other public places. 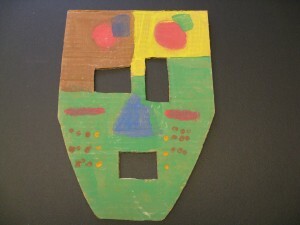 PATTERN, TEXTURE and COLOR are also important art elements to discuss with masks. These elements can often affect the MOOD created by the mask. Ask for opinions about the feelings each mask creates (all grades). The Japanese Noh drama, or play, is more than 600 years old and was first performed in the late 1300’s. The drama evolved from a dance form called sarugaku-no, which was developed by a Japanese actor. Noh drama combines dancing, chanting and poetic language from Japan’s ancient past. These dramas are performances of traditional and ancient religious stories and beliefs, which have been handed down for centuries. Noh actors speak an ancient and old-fashioned form of the Japanese language in their performance. Since this is not the common language of Japan today, members of the audience often bring copies of a play to the theater with them, so that they are able to follow the story. There are a total of 241 time-honored plays in the Japanese Noh Theatre. Almost 300 different masks are needed to portray every character in the 241 dramas. The plays are divided into five different categories: Kami Noh plays are about different gods and goddesses, Shura Noh plays are about ghosts from battles in Japanese history; Kazura Noh plays, in which male actors dance, wearing wigs and masks, portraying beautiful women; Zatsu Noh plays focus on living people and the sad events in their lives; and Kiri Noh plays are about good and evil. The audience sits facing an almost bare stage. A few simply shaped pieces of wood or bamboo are all that are used as stage props. These pieces might symbolize a temple, a boat, or whatever setting is needed for the play’s plot. A pine tree is painted on the back wall of the Noh stage. A small orchestra of three drums and a flute sits backstage. A chanting chorus of ten or twelve men is seated to the right of the stage, in two rows. Each Noh play carefully follows these traditional standards for every performance. The main character in a Noh play is usually either a god or a demon. Noh actors wear elaborate and traditional Japanese costumes, along with eerie wooden masks. The color and pattern combinations of fabrics for the costumes have been refined over the centuries into works of art. During the play, the actors chant their stories, accompanied by a chorus of voices, a flute and drums. Traditionally, the main actor (Shite) of a Noh drama is an adult male. The characters of the stories include females but because the actors wear masks, the Shite can disguise himself as a woman by the clothing and the mask he wears. 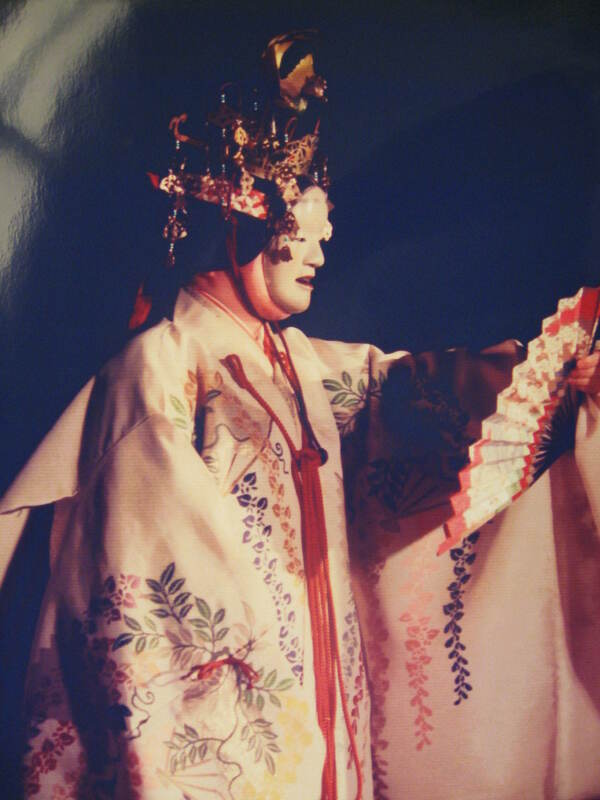 A Noh actor plays many roles, including elderly men, young women, elderly women, gods, ghosts, demons and animals. The Shite switches roles by changing his mask. The supporting actor (Waki) often does not wear a mask or even make up. The Waki (supporting actor) also maintains an expressionless face. All emotions are displayed through body language and voice only. Before a performance, the leading Noh actor carefully considers which mask he will wear for the drama. His choice will determine the costume he selects and the type of performance he will give. Before the actor’s assistant ties the mask to his face, the actor holds the mask in front of him and greets it as a sign of respect. It is said that a good Noh actor does not put on a mask, but that the mask pulls his face into it. Once an actor puts on a mask, a long time is spent silently concentrating on the character he is to play. 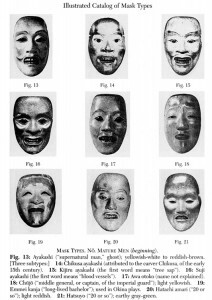 The Noh actors’ gestures are symbolic and barely suggest the specific emotions they express. For example, to show sorrow, an actor flutters a fan in front of his face. To show overwhelming happiness, the actor may just tilt his mask upward. The fan in an actor’s hand may represent a sword, a tray, or even falling snow. The Noh play seems to unfold in slow motion. 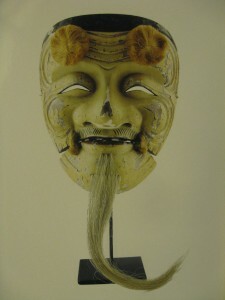 The Okina mask is constructed differently from other Noh masks; the lower jaw is carved as a separate piece and attached by string on either side of the mouth. This mask is one of the best known mask types of the Noh Theater. The same traditional types of Noh masks have been copied and recopied over many generations. Some masks in use today were made by famous mask carvers hundreds of years ago. Most of these masterpiece masks show cracks, stains, warping, and discolorations. On stage though, these blemishes seem to disappear and the beauty of the masterpieces can be seen. Many of these masterpieces have been declared national treasures by the government of Japan. This Okina mask was created in modern times. Okina is a character from the oldest play of the Noh Theater repertoire. 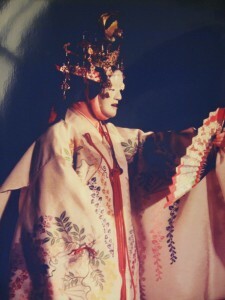 The play is performed only on rare occasions but Okina is the most familiar character because, at the opening ceremony for each Noh play, the most senior Noh actor dances for world peace and good harvest wearing the Okina mask. Following the opening ceremony and Okina’s dance, a Noh drama begins. What type of expression does Okina have? Is it scary or mean, friendly, happy or sad? Why do you think Okina’s eyes are such small slits? When people laugh or are really happy their big smile seems to cause their eyes to scrunch up into smaller slits. This gives a clue about the personality character of this mask. 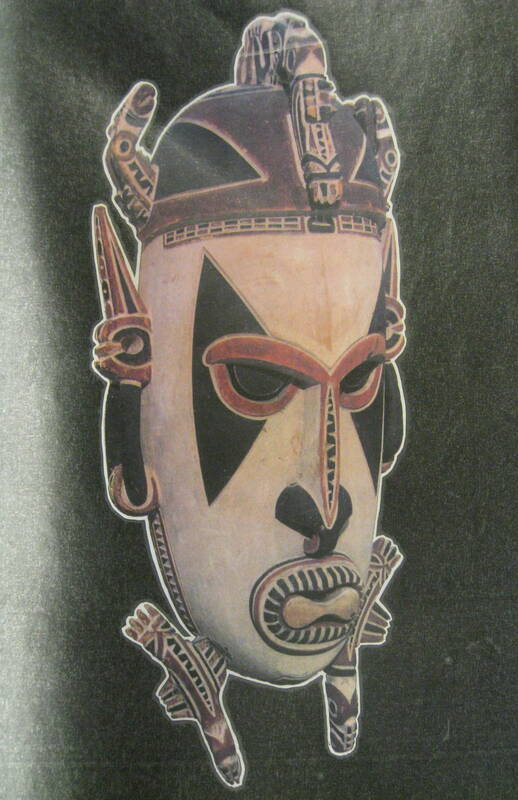 What type of LINE has the artist carved into this mask? Point out the curved line on the forehead, eyebrows, eyes and chin. There is diagonal line, accentuated with dark stain, on his upper lip. These lines give the appearance of mustache stubble on Okina’s lip. 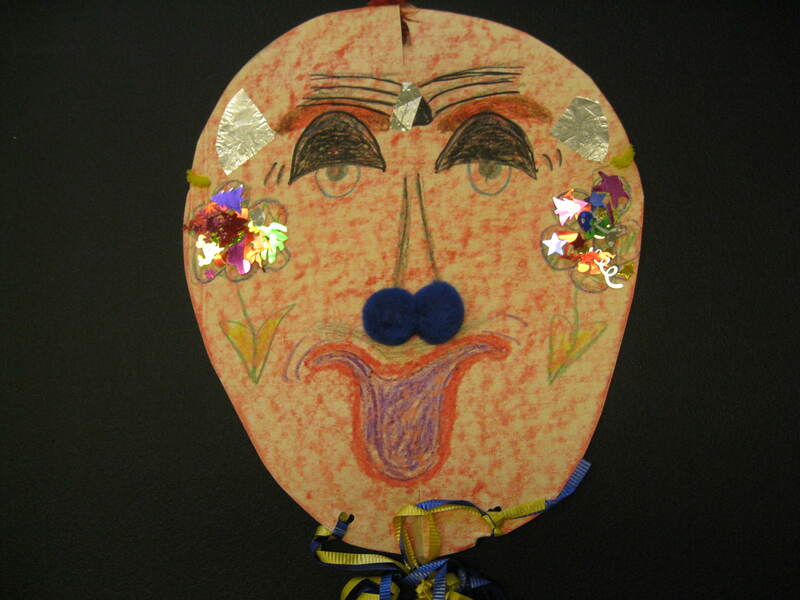 Can you describe any other identifying characteristics of this mask? Okina has a long skinny beard on the very tip of his chin. He also has two furry puffs on either side of his forehead and the top edge of the mask is black. Grades 4 and 5 could search the internet to find picture examples of additional character masks from Noh (also spelled No) dramas. Choose a character mask (other than Okina or Hannya) to recreate, using construction paper, markers or paint. Label the picture or mask with the name of the character and a short description. Some examples to look for: Ko-omote—a young woman, age 17-18, with an innocent expression, Dei-gan—woman with golden eyes. Enmenkaja—young man representing Okina in his youth, Zo-onna—mature woman in her thirties, with an atmosphere of divine purity, Waka-onna—young woman, Koushijo—elderly man, Kobeshimi—sorrowful demon. 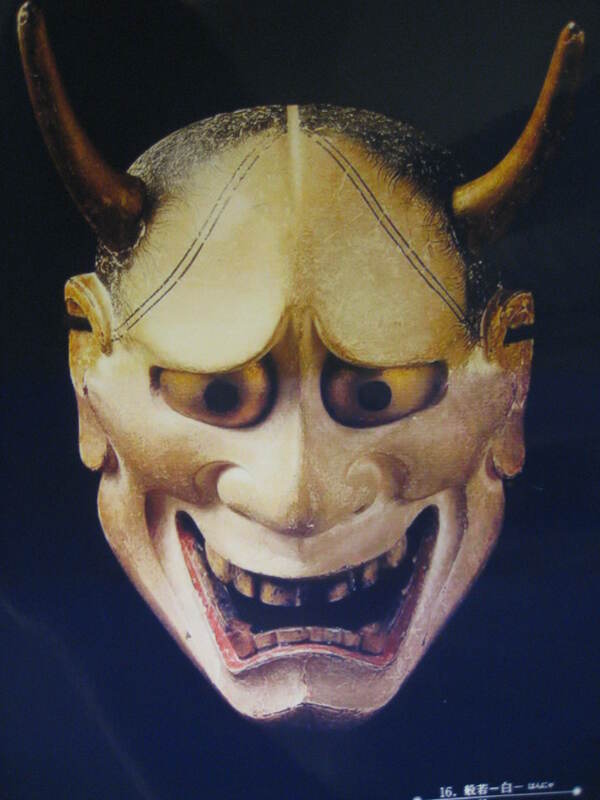 *Please note that kids may also come across Kyogen masks in the search for Noh mask pictures. Both of these mask dramas originated in the mid-14th century. The Noh drama centers on themes such as spirituality, love and revenge. In contrast, Kyogen drama is silly, comical and satirical. 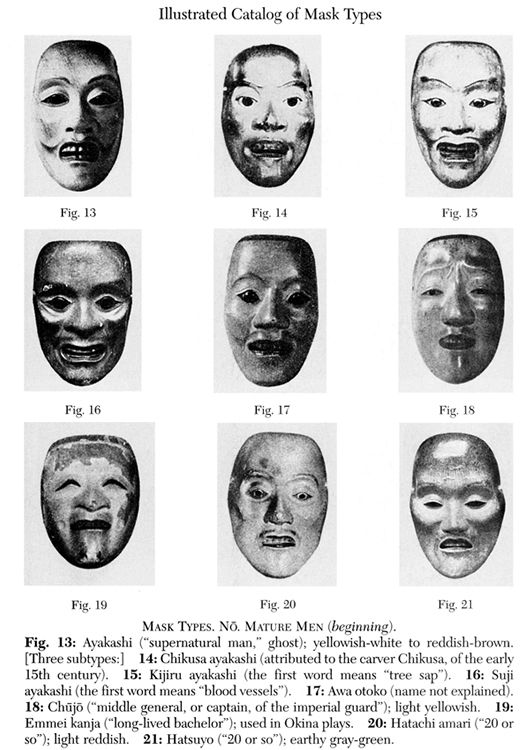 The styles of the Noh masks are more realistic; Kyogen masks try to look absurd. Kyogen drama is performed between the acts of Noh performances, as comic relief. Kyogen actors will sometimes use thick make-up instead of masks. Noh actors always use masks. Noh and Kyogen compare as Italian opera to a rock concert. Like the Noh actors’ symbolic gestures, Noh masks are highly refined. These masks are meant to show the underlying nature of human and supernatural characters. Many Noh masks, especially masks of younger men and women, are expressionless and show no emotion. Emotions of the character are displayed by the actor’s motions, allowing him the freedom to display delicate emotions. The demon is an exception because a demon mask always shows a very evil expression. Years ago, women were not even supposed to touch a Noh mask. Today, this ancient part of the tradition has changed. One well-known modern mask maker was a woman. Her name is Akiko Taniguchi. Akiko worked in a small straw-matted studio in Tokyo, Japan. It took her forty days to finish a Noh mask. Art collectors were always eager to buy Akiko’s Noh masks but she preferred to sell them to actors who would bring them to life on the stage. Noh masks are carved from lightweight cypress wood, primed with fine clay, and then they are painted. The masks are small, covering just the front of the face and it is not unusual for the actor’s own ears to show behind those of the mask. The masks must be very light because they are worn throughout a very long performance. Each mask takes about twenty days to sculpt or carve. After carving, the front of the mask is coated with a fine, white clay. When the clay dries, the mask is carefully sanded, then painted. Each Noh character is painted and sculpted under certain specifications. The mask must always look the same so that the audience can always recognize each character. The character of this mask is called Hannya (han-nya), who was once a very beautiful woman named Kiyohime (Kye-yo-he-may). She wanted to marry a certain priest and constantly followed him everywhere. The priest was not interested in Kiyohime so he hid from her in the temple, under a bell. Kiyohime became angry and looked everywhere for the priest. When she finally found him, Kiyohime flew into a rage and became a demon like character with two gold horns and gold teeth. At this point in the play, the actor changes masks and becomes Hannya. Eventually, the priest prays and Hannya leaves the stage and disappears. The story of Hannya is a Zatsu Noh Play because it is about a living person and a terrible event. Does the color of the mask affect how you feel about it? Dark is usually associated with bad guys. Is this character a man or a woman? A good Noh character or a bad Noh character? Does this Hannya mask look beautiful? No, this mask represents how repulsive people become when they keep ugly, mean and hateful thoughts on their mind. The horns represent the ugly demon that angry, bad thoughts can create. Hannya is almost bald, with only a few strands of scraggly hair. Why would the artist paint the mask this way? These loose strands of hanging hair traditionally represent evil in the Noh Theater. Also, each specific character mask has been recreated, to look exactly the same, for hundreds of years. Does this character seem happy? Why or why not? Mean and ugly thoughts never make anyone happy. Although Hannya seems to have upturned corners of her mouth, she does not have a warm and happy smile. It is a scary smile. The artist has stained the demon’s teeth with black paint. This gives a more ominous and creepy appearance. Large angry eyes, along with the veins sticking out of Hannya’s forehead (top center) show her rage. The eyes are deeply sunken, with dark shadows. The top of the eyes (eyebrows) have a downward sloping curve, which is highlighted with a light wash of white paint. 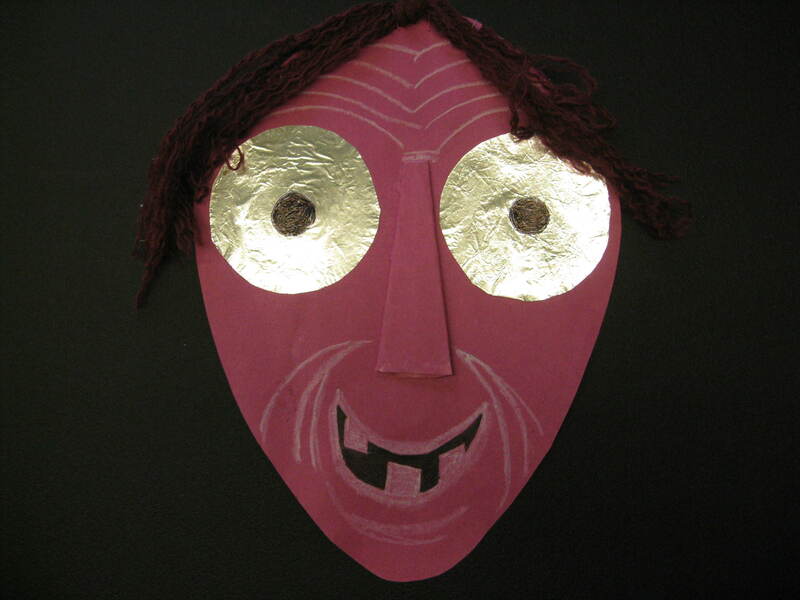 (K-2) Create a scary “bad guy” mask with horns. Cut a horned mask SHAPE of tag board and color the details. 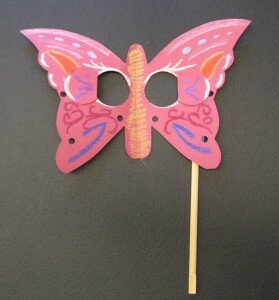 (3-5) Attach three-dimensional paper cone horns or create small clay masks with 3-D horns. Mexican villages often celebrate national and religious holidays with fiestas, celebrations that include masked dances in the village plaza. Important historical events like famous battles or conquests can also be celebrated with masquerades. One dance often performed in Mexican village festivals is the Tigre dance. Tigre is the Spanish word for the jaguar, the largest cat in the Americas. The ancient people of Mexico called the jaguar “king of beasts”. Aztec warriors considered the jaguar their guardian spirit because of its courage and ferocity. Only rulers could wear its cinnamon colored skin, marked with black spots that symbolized the starry night sky. The jaguar’s image was painted, modeled in clay and carved in stone by many ancient Mexican artists. Today, although few of them will ever see one, except in a zoo, Mexicans still admire the jaguar. Tigre is one of the most popular masks made in modern Mexico. The mask makers may have never seen the real animal, so they use their imaginations to create ferocious looking Tigres with fangs, bristly whiskers and huge eyes. In the many versions of the Tigre dance, there may be one or more masqueraders costumed as Tigres (jaguars) who carry long whips to snap at the audience. In one dance, boys wearing masks of farm animals, like goats and donkeys, are caught and carried off by the whip-cracking Tigres. The Tigres may even run into the crowd, chasing and frightening small children. A “doctor” pretends to bandage those in the crowd who have been “wounded” by the Tigres. At last, a masquerader costumed as a dog called Maravilla appears to track down the wild Tigres. With Maravilla’s help, men with toy guns hunt the Tigres and finally drag them away. Many children look forward to this dramatic Tigre dance each year. 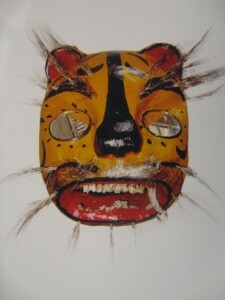 Tigre masks were traditionally used in many ancient Mexican ceremonies. Today, although they remain an important part of fiesta entertainment, Tigres (jaguars) have lost their original significance and today there are very few left in the wilds of South America. Still, some of the old beliefs persist. For example, a certain ancient Tigre mask is said to be kept in a chest in the Mexican city of Guerrero (Point out on a map). It is told that when the chest is opened, the Tigre supposedly moves its eyes, blinks and stares at the person who stands above it. Show the photographs of a Jaguar. Compare this with the mask. Do you think the folk artist who created this mask was trying to make it realistic? No, the artist was more interested in creating a ferocious or scary effect for the dance audience. When an artist is more concerned with the way the art makes a person “feel” than in its realism, this is called EXPRESSIONISM. Create your own version of a scary Jaguar mask. Display a photograph of a jaguar for the kids to study. Use a thin paper plate and cut out eye holes. Use construction paper, crayons, markers, or paint for details. Cut sharp triangle shapes to glue on the mouth for dangerous teeth. 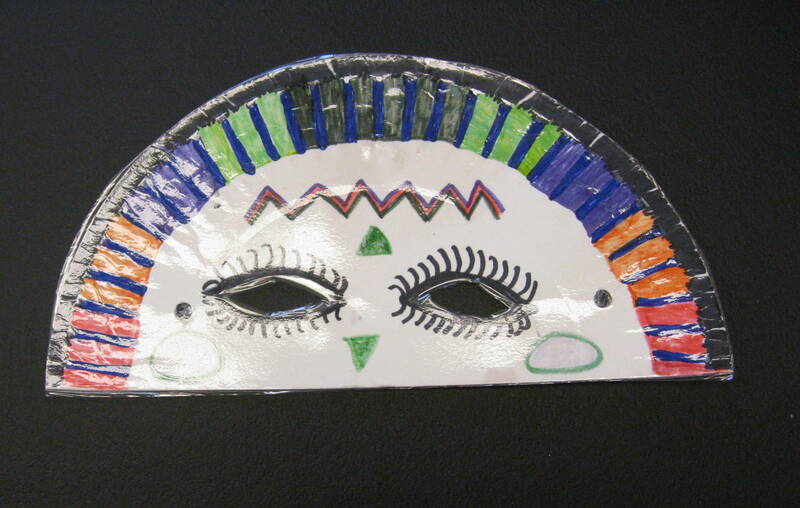 Create a MARAVILLA mask with a paper plate and construction paper. This is the dog who tracks down the jaguars that the hunters carry away. Attach floppy dog ears to the mask. 5. “Jaguar:” Ceremonial Mask from Tami Island, Papua New Guinea Circa 1910. Papua New Guinea is a group of islands in the Pacific Ocean, north of Australia. The mask is specifically from the small island of Tami and was created about 100 years ago. (Point out the many small islands close to Papua New Guinea on a world map or globe) Masks here are always made and worn by men. They were traditionally worn at feasts and celebrations, such as the passing from boyhood to manhood, and at funeral ceremonies. This mask was not worn, but placed on the outside of a special ceremonial house, during boys’ initiation rituals. The initiation ritual was a special ceremony marking the time when a boy became a man. The person who made this mask uses the face like a canvas to create all sorts of unexpected patterns. This expression seems very formal and not humorous at all. The effect this mask gives the viewer is very powerful. Notice the large triangles around the eyes, bringing attention to this area. These dark triangles make the eyes more intimidating. The mask has an air of strong authority. Can you find other geometrical triangles? On either side of the cap on the head—The tops of the ears are carved into triangle forms—Under the ears, along the jaw line, is another band of small, painted triangle shapes. A pattern of repeated rectangle shapes surround the mouth. What do you think this pattern might represent? Teeth? Do you see any additional rectangle or oval shapes? Where? Does this mask look symmetrical—the same on both sides? Although it is slightly turned, it appears the artist has given this mask symmetrical balance. Compare the balance of your own face with the mask (all grades). What type of balance does your face have? Create symmetrical geometric decorations on a mask template. Use cut construction paper or markers. Use white for the mask background. Cut geometric shapes from black and one additional color (of your choice?) to decorate the mask. The mask can look modern or ancient but it must be exactly the same on each side—SYMMETRICAL. To create two shapes that are exactly the same (symmetrical) fold the black and colored paper in half, so that each time you cut a shape there will be two exact same shapes, one for each side of the mask. This, along with careful placement of the shapes, will help create a mask that is very organized and symmetrical. Iroquois (ear o quoy—“s” is silent) Indians have long lived in what is now the Northeastern United States and Canada. For centuries, the Iroquois raised corn, squash, and beans and hunted wild animals. They built villages of longhouses, walled in with high wooden fences. The Iroquois call themselves “People of the longhouse”. In modern days, the Iroquois live on reservations throughout New York State. They have six Nations: Oneida, Onondaga, Cayuga, Seneca, Tuscaroca, and Mohawk. Iroquois men were once great fighters. The men wore deerskin shirts, leggings, a breach cloth, and moccasins. The Iroquois men played stickball, modernly known and developing popularity as the sport of Lacrosse. The men also carved bowls, ladles, and spoons from wood. They once used bows and arrows, spears, and blowguns to hunt their food. A blowgun is a hollow stick used to blow a dart through to hit an animal, like a spitball. The women were important to the tribe. Women took care of gardens, cooking, mending, sewing, caring for children, teaching, and making the long house warm and comfortable. When girls and women had free time they might play a game of Skinney. This game is a little bit like hockey. Only women could plant crops. Corn was very important to the Iroquois so they called it “our life”. Squash, called “supporter of life,” was also an important crop. These foods are called three sisters when beans are added. The Iroquois have many legends about the three sisters. A village of the Iroquois was usually built by a river or lake so the people could travel by water. To build a longhouse the people of the village would cut down saplings and put them in the ground. There are smoke holes in an Iroquois longhouse because many fires were needed to keep warm during the cold Northern winters. Iroquois longhouses were actually warmer than settler’s houses with a wood stove or cabins on a prairie or plain. When a man got married he moved to his wife’s longhouse. Today, many Iroquois still speak their native language, practice their ancient crafts, and take part in traditional curing ceremonies. Now you can try this Iroquois dish. Make it on your own for a dinner side dish. In a large pot, sauté the onion in oil or butter until soft. Pour the salad dressing over the warm mixture and toss. Eat and enjoy an Iroquois favorite! Curing sickness is the special purpose of the Iroquois False Face Society. The False Face Society takes its name from the painted wooden masks that members wear in curing rituals. In these ceremonies, members dance to the sound of rattles made of snapping-turtle shells. Members of the society put on the false faces to visit the lodge of a sick man who has declared himself in need of a cure. Wearing their masks and shaking turtle shell rattles, the members who are to bring about the cure creep towards the sick person’s home. They scrape their rattles against the door and enter the house in single file, continuing to shake the rattles and singing. Inside the house, ashes and tobacco are used in a ritual meant to drive away the demons believed to be the cause of the patient’s illness. Society members would carry the ill man/woman next to the household fireplace (originally this was a fire pit, inside a longhouse). False Face dancers would dance near the fire, sprinkling ashes on the patient’s head and tobacco into the flames. Anyone who is cured automatically becomes a member of the society. One of the most important parts of the original ritual was that the Society was always thanked by the ill person’s family with gifts, foods and fur. Most curing ceremonies are traditionally held in private, in order to achieve the best effect, but public ceremonies are still held at the Midwinter Festival, for those cured earlier. This community midwinter curing ceremony was originally considered essential in order to prevent the disease from reappearing. The features of False Face masks are strongly carved, with the mouths and often the eyes highly exaggerated. The masks have deep set eyes, accentuated with gleaming metal eye plates and large noses. The arched brows are deeply wrinkled. The mouth is the most variable feature, and runs through a whole range of expressions. Sometimes the mouth is pursed as if for whistling; sometimes it is puckered to imitate blowing ashes as part of the False Face curing rites. The mouth may also reveal the teeth or a protruding tongue. Other masks have large, straight, distended lips which may be twisted up at one corner or both corners may turn down in a distorted arrangement producing a frightening effect. A series of wrinkles usually heightens the distorted look and cheek bones are sometimes suggested. The faces are framed by long hair, usually cut from black or white horses’ tails. Before the Europeans introduced horses, corn husk braids, or tresses of buffalo mane served as hair. Once a person becomes a member, they go alone into the woods to carve their own mask. Nobody else is allowed to help. 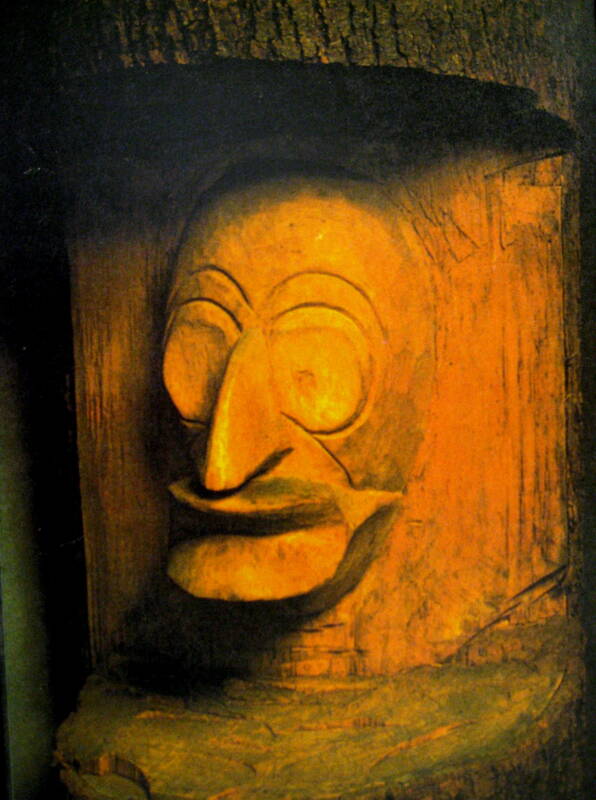 False face masks are carved in the trunks of living basswood, maple, pine or poplar trees. 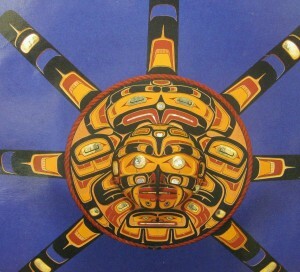 According to Iroquois tradition, this is done so that the living spirit of the tree continues to live on in the mask. To make the mask, the person walks through the woods to find a tree whose spirit talks to them. After talking back to the tree, the person builds a fire in front of the tree but not touching it. Tobacco is sprinkled into the fire, and then bark is stripped from the tree wherever it seems the scariest. The mask needs to be scary enough to frighten off sickly evil spirits. Next, the person outlines a frightening face in the tree trunk and carves out this outlined section of the tree. The mask is cut free from the tree only when nearly finished. Then the mask maker moves into a secluded shelter to finish the mask. 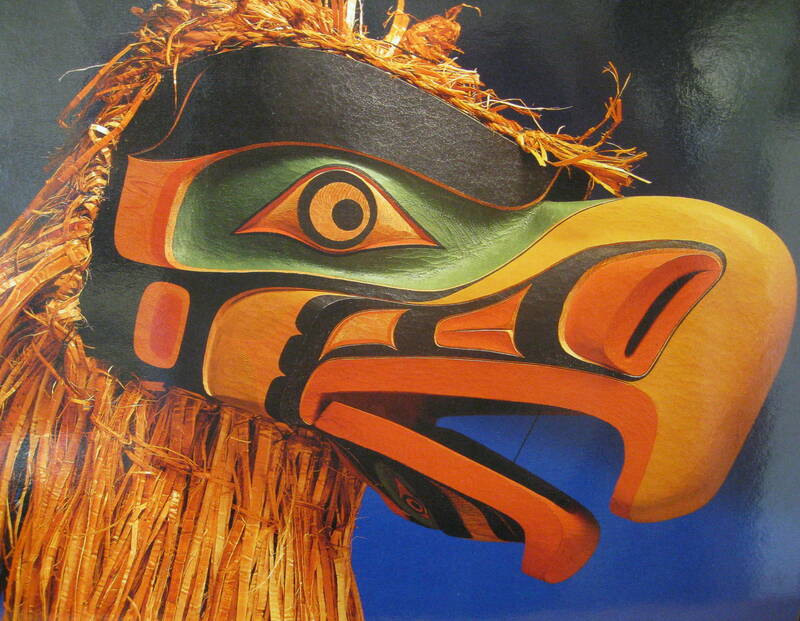 Once cut away from the tree, the masks are polished, painted red or black (depending on the time of day the mask carving began) and hair like fiber is attached, along with feathers and other decorations. The Iroquois (ear o quoy—“s” is silent) treat False Face masks with great respect. When not in use they are kept carefully stored away, face down, wrapped in clean white cloths. Because the masks have been cut from living trees they are believed to be living beings and must be well cared for. Tobacco leaves are stored with the mask, believed to provide nourishment for the mask’s spirit. 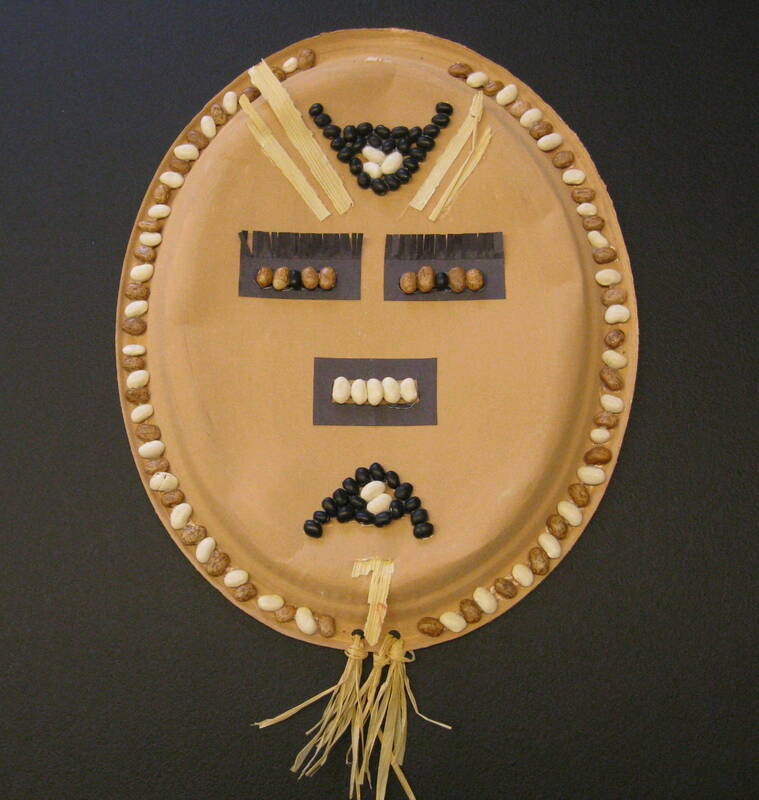 These masks are an important part of the Iroquois cultural traditions and beliefs. Each False Face mask shows a spirit from their legendary history. Many of these masks seem cheerful and although sometimes a little frightening, not actually sinister. One type of mask made in this society is called “Old Broken Nose” and represents a spirit who challenged the creator of the World. To show off his power, the spirit commanded a mountain to come to him. But the mountain moved only halfway. Then, the spirit turned his back and challenged the creator of the World to move the mountain. When he turned around to look, the mountain was so close that he smashed his nose against the mountain and broke it. Common characteristics and features of False Face Masks: The masks have deep set eyes, set off by shiny metal eye plates and large noses. Some noses are carved to look bent (Old Broken Nose). The arched brows and forehead are deeply wrinkled. The mouth is the most variable feature, and runs through a whole range of expressions. Sometimes the mouth is pursed as if for whistling or blowing. The mouth might also show teeth or a tongue. Other masks have large, straight, distended lips, which may be twisted up at one corner, or both corners may turn down in a distorted way to produce a frightening effect. A series of wrinkles on the forehead and around the mouth usually increases the mask’s distorted look. These eye plates capture and reflect light to help to animate the mask and help it appear more mysterious. What type of mood or feeling does this mask give you? Many answers are acceptable but given the fact that the mask is smiling, some kids may feel he is happy and friendly while others may feel he appears creepy or dangerous. Create a mask that is your own version of “Old Broken Nose”. What do you think he would look like? Create your Broken Nose mask with the same types of characteristics and in the same style of the false faces shown in the packet. Create large, deep set eyes with metal eye plates. These eye plates could be made of bright yellow paper or aluminum foil and glued to the mask. The nose should be large and crooked, because it was broken. The mouth could be crooked, smiling, angry, blowing or whistling, have exaggerated lips, teeth or a tongue—or any combination of these features. Only members know who is a member of the False Face Society. To become a member, a person has to have had a special dream or been cured of illness by the false faces. 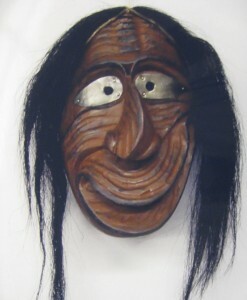 This False Face mask example is still attached to the tree trunk from which it was carved. 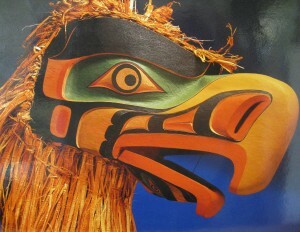 Once cut away from the tree, the masks are polished, painted red or black (depending on the time of day the mask carving began) and hair like fiber is attached, along with feathers and other decorations. Why did the artist carve this mask into a living tree? 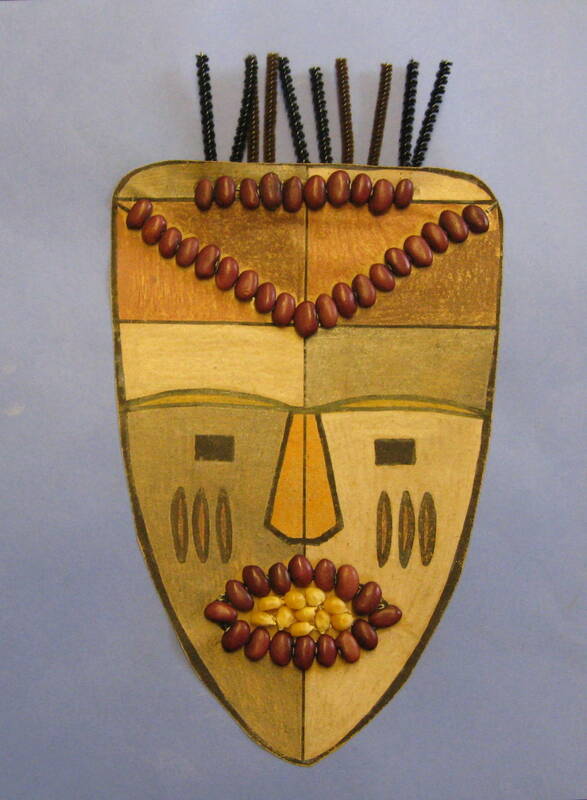 The Iroquois believed this would capture the living spirit of the tree inside the mask. If the artist paints this mask black, does that mean it represents a “bad” spirit? No, it simply means the mask carving was begun in the afternoon. Compare this unfinished False Face mask with the finished one. What does the creator of this mask still need to do to finish this mask? (Grades 4-5 only) If your school has the budget, buy a 4’x8’ sheet of 2” thick Styrofoam insulation. This can be found at lumber stores. Use a saw to cut the foam into 12” squares (one sheet will give you 32 of these). Use plastic knives to carve a False Face from the Styrofoam. Paint the False Face with black and red acrylic or tempera paint. Acrylic paint is more permanent but since it won’t come out of clothing, you may prefer to use the tempera, which flakes off a little after it dries. Use black or white yarn to create the hair. Optional additional details (such as around eyes) could be cut from construction paper or foil. If you want your face to have white teeth, leave the Styrofoam unpainted here. Be careful as you carve, the Styrofoam will not glue back together! King Tutankhamen’s tomb lay undisturbed in Egypt’s “Valley of the Kings” for more than three thousand years. Then, in 1922, a British archaeologist named Howard Carter discovered the underground staircase that led to the sealed doorway of Tutankhamen’s burial chambers. When he was finally able to pry out some stones and look into the tomb by candlelight, Carter discovered some wonderful things. There were figures of strange animals, treasure boxes, statues and lots of gold. Mummies of ancient Egyptian kings had been found before, but all the tombs where they lay had been robbed of the treasures buried with them. However, not only Tutankhamen’s mummy but most of his tomb furnishings and his personal possessions have survived. One of the most astonishing objects in the tomb was the mask that covered the mummy’s head and shoulders. Three thousand years later, it remains one of the most dazzling works of artistry ever created. 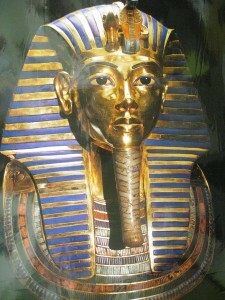 Made of solid gold, the mask is inlaid with semiprecious stones, colored glass and Lapis Lazuli (a bright blue stone). The ears are pierced for earrings. The earrings themselves have never been found. Tutankhamen’s headdress is decorated with the symbol of a vulture (center left—the symbol of Upper Egypt) and a cobra (center right—the symbol of Lower Egypt) to show that he was the ruler of ALL of Egypt. On the chin of the mask is the symbolic royal beard of a pharaoh. Around the neck of the mask the glass and precious stone create a half circle pattern of a decorative necklace rich Egyptians would have worn. Protective magic spells are engraved on the back and shoulders of the mask. Tutankhamen’s mummy was intended as a home for his soul, which would be transformed into a supernatural being. 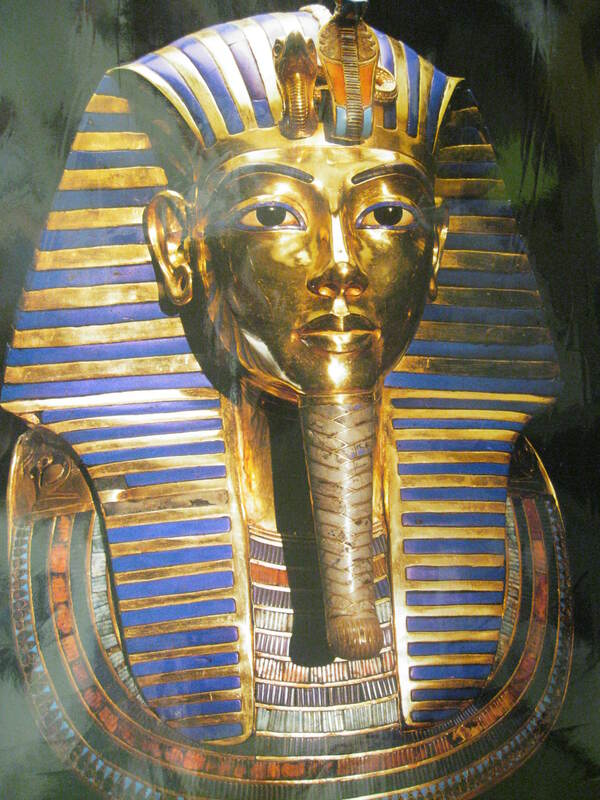 The golden mask also identifies Tutankhamen with the Egyptian sun god, Ra (or Rah), whose body was made of gold. Tutankhamen, or King Tut for short, was called “The Boy King” and became a pharaoh when he was only nine years old, around the year 1350 BC. King Tut lived in a beautiful palace in the city of Thebes. He had servants who did everything he commanded because he was the pharaoh. The Egyptians believed King Tut was actually a god, not a human being. The life of a pharaoh was not much fun for a boy. A typical day for King Tutankhamen began in the audience chamber of the palace, where he sat on a throne of gold, silver, and jewels, and wore a heavy gold headpiece, shaped like a flame. Ambassadors from foreign countries bowed before him and brought rich gifts. Egyptians came to the pharaoh to settle their disputes, since he was their wise god-pharaoh. In the afternoon, King Tut went to the temple to lead his people in a three-hour worship ceremony. After the formal dinner in the evening, the king might have had time to see his wife, the slightly older Ankhesenpaaten, one of the daughters of King Akhenaton and Queen Nefertiti. At such a young age, Tutankhamen wouldn’t have been responsible for the real decision making. This would have been handled by two high officials called Ay (possibly the father of Nefertiti) and Horemheb, commander-in-chief of the army. Sometime around the ninth year of Tutankhamen’s reign, possibly 1325 BC, he died and Ay is depicted in tomb paintings as overseeing Tutankhamen’s burial. King Tut was only nineteen years old when he died. The treasures of King Tut’s tomb can be seen today in Cairo, Egypt. 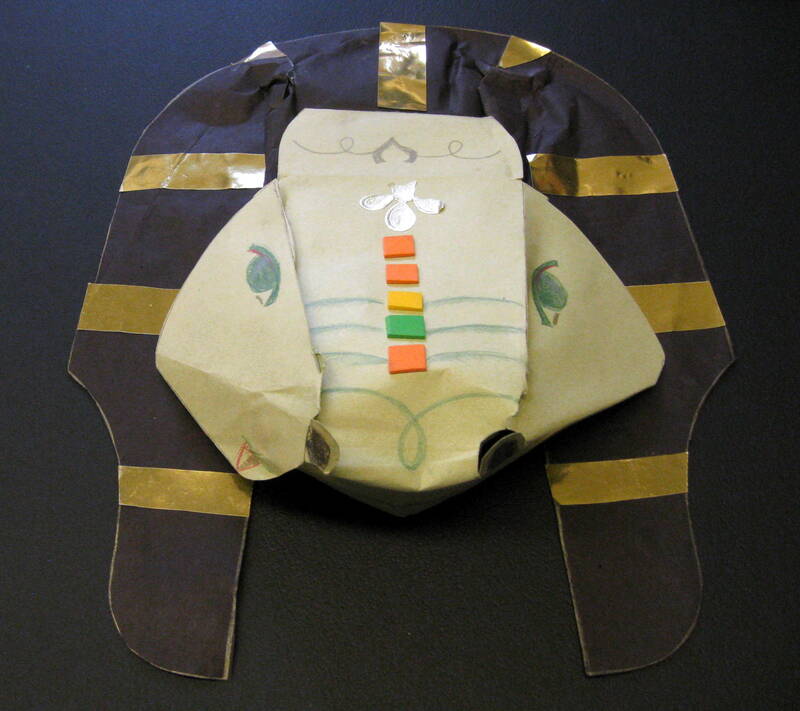 (Grades 4-5) Color or paint and tape together the 3-dimensional mask of Tutankhamen (found in hard copy of workbook—ask school coordinator). This mask is meant to hang on the wall and is too small for a child’s face. It should be printed on regular paper; cardstock is too stiff to create the correct curvature for the nose, chin, and attached side pieces. Stress the importance of carefully cutting out the separate parts of the mask! 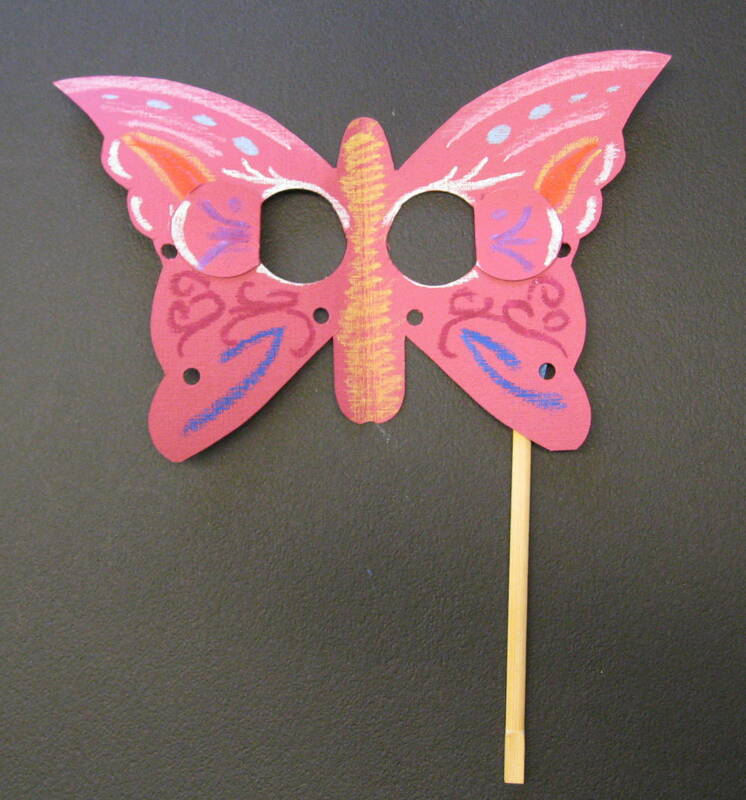 Kids can slightly curl the tip of the beard around a pencil, similar to the mask shown here. An additional suggestion is to glue gold foil or glitter on the mask parts made of gold. Project will probably take at least two class periods. The Bamum (bah-MOOM) are a group of people who have lived for centuries in the Grassfields region of western Cameroon, on the continent of Africa. To the south of this area are extensive rain forests and to the north are mountains. Before European colonization, the Bamum had their own kingdom; today, they are citizens of the republic of Cameroon. In the 1600’s, three Princes of Rifum (ree-FOOM) defied their father and set out to form their own kingdoms in neighboring lands. On the bank of a great river, Prince Nshare left his brothers. He and his followers crossed the river into the land of the Mban. After conquering the local people, Nshare spoke to them, saying that he was now the King of the Mban people and that from then on they would be called the Bamum. Since that time, the capital of the kingdom has been called Fumban, which means “on the grave of the Mban” and the people are still known as the Bamum. Family ties are strong in Bamum society. Mothers teach the children their history and the values of the family and their community. Children are highly valued and the whole community looks after the welfare of each child. Bamum children receive their names, social privileges and property from their fathers. From 1820-1840, under the rule of King Mbuembue (hm-BOM-bo), the Bamum Kingdom, in present-day Cameroon, expanded in size and economic importance. King Mbuembue is also credited with the introduction of new art forms and rituals, which were probably adopted from some of the peoples this king conquered. Bamum artwork expresses who these people are. The Bamum make artwork to record their history and relate their vision of the world. 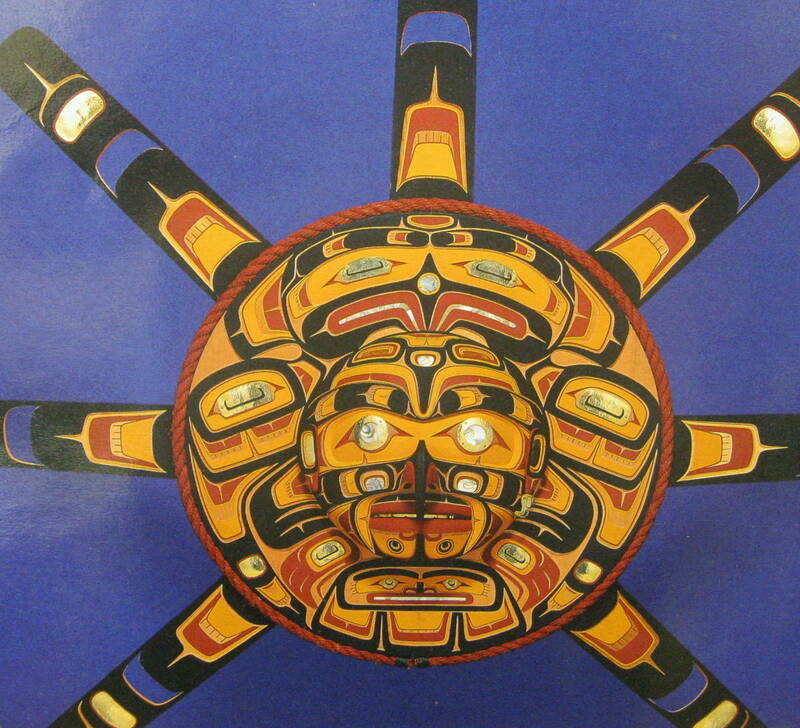 In the past, as the Bamum conquered some Grassfields peoples and merged with others, Bamum artwork changed. 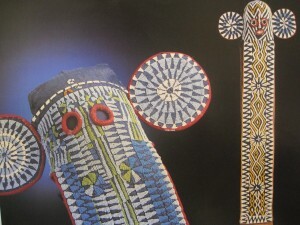 Like other Grass field peoples, the Bamum began to decorate objects with beaded images of frogs, lizards and leopards. Yet, even as the Bamum absorbed new ideas, they maintained a strong sense of their own identity. Today Cameroon is a republic. Although there is still a Bamum king, he no longer has the political power the king once had had before Europeans arrived in Cameroon. In 1884 and 1885, European nations held the Berlin Conference and divided Africa into Belgian, British, French, German, Italian, Portuguese and Spanish colonies. The Grass fields became part of the newly-created German colony of Cameroon. In 1902 the Germans arrived to unify the Bamum kingdom with the rest of Cameroon. They met with King Njoya and were impressed by Bamum art and politics. As the years passed, the Germans and Njoya tolerated each other. After the German defeat in World War I, the French took over most of Cameroon, including the Bamum kingdom. In 1930, the French sent King Njoya into exile to break his power. Njoya never saw his people again. When the French took over the colony of Cameroon, they tried to destroy the Bamum kingdom. As French soldiers threw the most sacred Bamum objects into the street, many people fled, afraid that their nation was gone forever. Njimoluh, son of Njoya, became king through an agreement between Bamum nobles and French officials. Quietly, he worked to preserve his people’s heritage. As soon as the French left Cameroon in 1960, Njimoluh gathered up all the sacred objects and put them back where they were safe. Not long after, many Bamum returned to their kingdom. King Njimoluh ruled from 1933 to 1992. 9. King Mbuembue (hm-BOM-bo) “King of the Hanging Cheeks” Bamum (bah-MOOM) Kingdom, Cameroon, Africa. Late 19th century (10 ¼” high). The man in 19th century Cameroon who made this bronze mask was highly respected because of his specialized knowledge and because his art was essential to a strong kingdom. Someone able to manipulate fire and air to create metal objects, such as this unknown artist did, was considered very powerful. Metal objects marked the high status of royal customers, which meant wealth and power to a skilled and artistic craftsman. Today, in this same area of Africa, metal casters preserve the technical skills discovered by their ancestors by producing cast metal objects which are mostly sold to foreign markets. 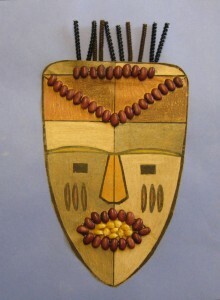 In the Cameroon Grassfields, masks are carved from wood, made of cloth, covered with beads, or cast from metal. When dancers wear these masks, they are hidden. The dancers are transformed to act out roles affected by the images created on these masks. Through masquerades, which include music, gesture, costumes and words, dancers entertain and communicate cultural ideas of social, political and spiritual importance. 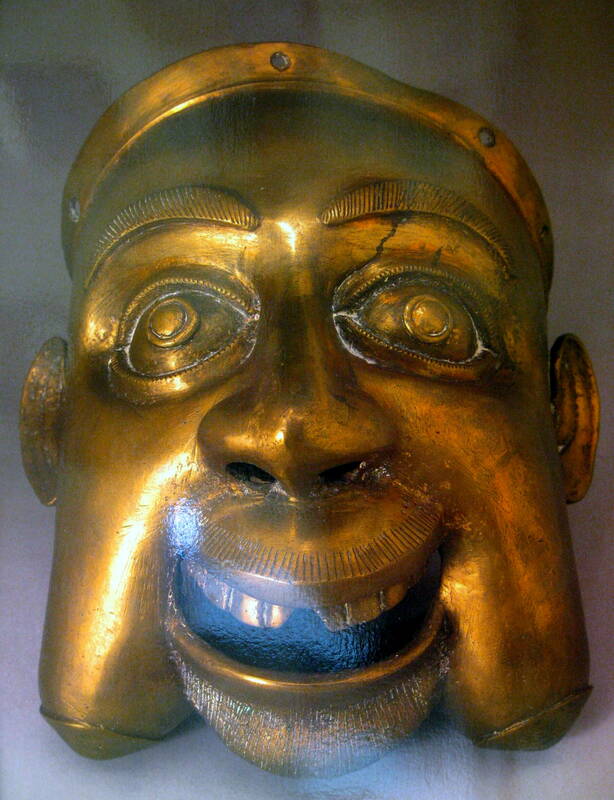 It is said that large metal face masks were first made in the Cameroon Grassfields in the early 1800’s. King Mbuembue (hm-BOM-bo), of the Bamum Kingdom, ordered the metal masks to protect his warriors and to blind invaders’ horses during battle. How could a mask like this protect a warrior in battle? Spears wouldn’t pierce the mask if a warrior were hit in the face. In the sunny climate of the African Cameroon Grassfields, the shiny metal masks would probably send spooky reflections towards approaching enemy horses and confuse them. King Mbuembue was a successful military leader who victoriously enlarged his kingdom and created a unified political realm. He ruled the African Bamum Kingdom from about 1810 to 1845. Under Mbuembue’s reign, every Bamum citizen, regardless of their social origins, became wealthy. Everyone, including children, loved this king. It is said that no other Bamum king can compare with Mbuembue. He was a hero and a legend, sometimes called “King of the Hanging Cheeks”. His image, which has come to symbolize prosperity and stability, is depicted in many Bamum masks. This bronze mask, with its “hanging cheeks” is a depiction of the legendary King Mbuembue. The neatly groomed beard and the filed center teeth indicate a person of high rank in his society. The mask is actually incomplete. The holes seen above the forehead would have held an attached feather or raffia headdress, giving added drama to the dancer or warrior wearing this mask. The artist cast this mask using the lost-wax method, a process used in West Africa for hundreds of years. For this process, the artist first sculpted the mask in wax. It was then covered with clay, which was mixed with grasses and animal dung. When the clay dried, this formed a mold of the wax model underneath it. Next, the entire wax and clay model was encased in a larger clay mold, which had a clay chamber attached above the mask that was filled with scraps of metal. When the mold was heated, the wax melted first and was absorbed into the porous clay body that surrounded it, leaving a hollow space in the clay. Finally, the metal in the chamber above the model became hot enough to liquefy. The artist then removed the mold from the fire and turned it over so that the molten metal filled the empty space (left by the melted or “lost wax”) and left the mold to cool. The cooled mold was finally broken open to reveal a metal object (in this case a mask) that was an exact replica of the original wax sculpture. How did this artist emphasize the eyes of this mask? The added detail of small lines outlining the upper and lower eyelids The eyes are also opened very wide and, in the center of the eyes, smaller concentric circles were sculpted in bas relief (like the image on a coin). Do you think this is a realistic depiction of an individual’s face? Why or why not? Imagine how this mask would look if it were made of wood, instead of Bronze. How would it change the way the mask looks? The mask would not reflect light the same way. 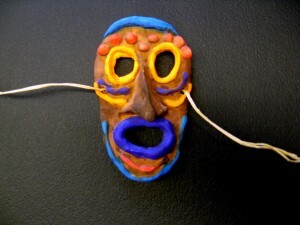 (Grades 4-5) Carve a small mask from a bar of soap. Use a plastic knife for the major carving. A plastic fork may be helpful for deeper line detail. Remove the center fork prongs for easier handling. 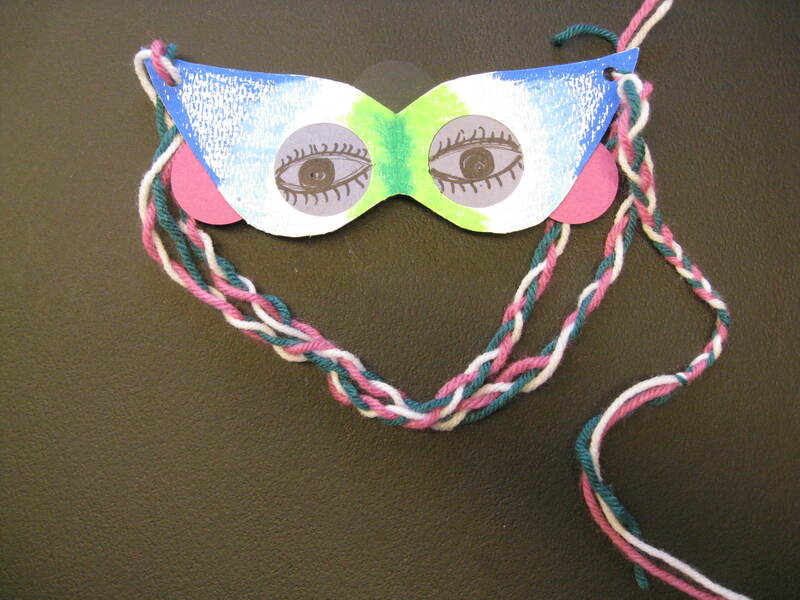 Encourage kids to include some type of repeated line on the mask. 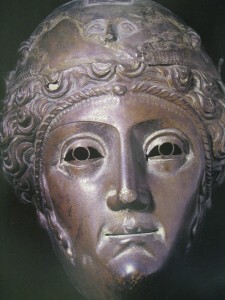 The original version of this mask was sculpted in wax. 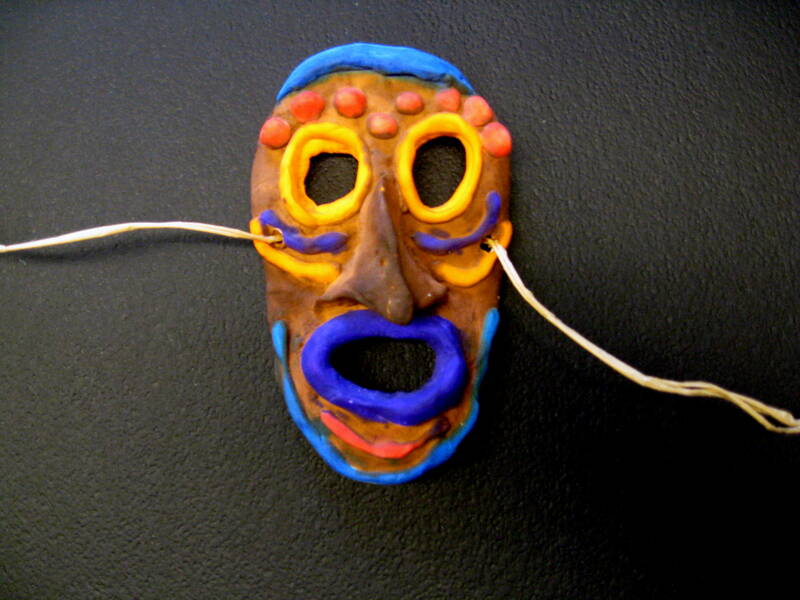 Use clay to sculpt a mask. Be sure to add line and pattern to make the mask interesting. Include interesting and symmetrical shapes on the mask. 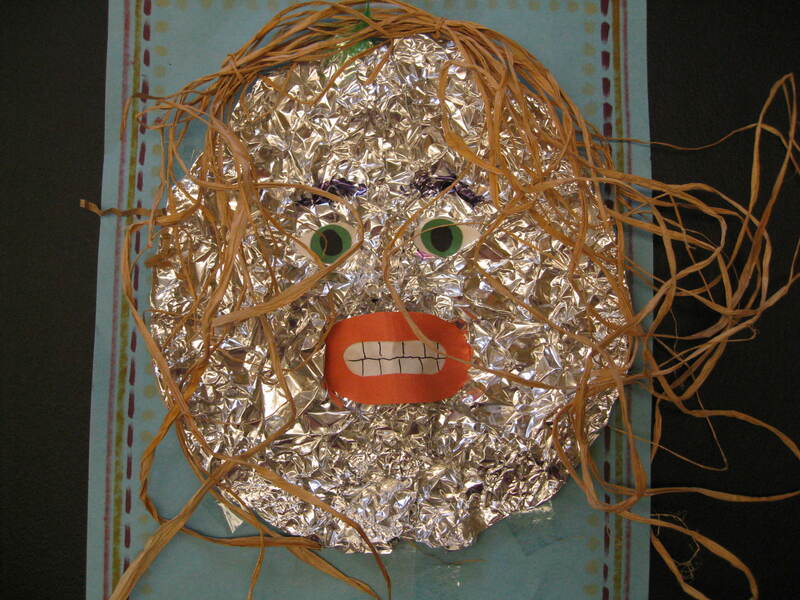 This is a project for 5th graders, because the finished foil mask is easily crushed. 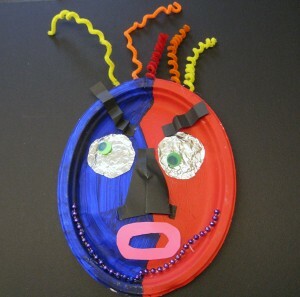 Kids will need to work with a partner for this molded metal mask. Give each person two 20” pieces of HEAVY-DUTY aluminum foil. Place these two pieces of foil on top of each other to form a heavier, double thickness. One person sits in a chair with their eyes closed. Their partner stands to center the piece of foil on the person’s face, and then gently pushes, beginning with the nose, to wrap the foil around the face. With the eyes closed, carefully push around the brow and above the cheek. Gently push around the eyes and over the person’s closed eyelids. Keep lips together as the foil is pushed against them. Wrap foil under the chin and over the front of the forehead. Fold the foil edges under to help give strength and support to the mask. These three dimensional masks can be displayed by scotch taping to construction paper. This will also give the masks a chance to make it home! 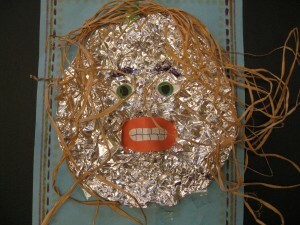 An easier molded metal mask can be created by gluing aluminum foil on a cardboard base. To create raised (relief) areas of the mask, glue yarn, thick twine, or pipe cleaner shapes to the mask before covering with foil. Corrugated cardboard shapes could also be glued to the mask base in the areas you wish to raise. Areas such as eyebrows, eyes, nose and lips are good areas to create the illusion of relief sculpture. Push the foil tightly over these raised areas so that the mask looks as if it has been formed from a solid piece of metal. Add dimension by gently shading the mask with shoe polish. To do this, cover the mask with brown paste shoe polish and wipe off with a rag. The polish will leave a brown tint on the foil and will collect in the crevices of the mask. Create a mask with a rugged texture by covering a corrugated cardboard mask with small pieces of masking tape, about 1”-2” in size. Tape on a cardboard nose that stands out from the mask. Overlap the tape until it completely covers the cardboard mask, then use shoe polish to cover the mask and wipe this off with a rag. Be sure the nose is also covered by these small, mosaic type pieces of masking tape. Cardboard tube slices can also give dimension to the eyes if you tape two of these on before covering mask with the masking tape pieces. Glue dried beans, split peas, popcorn, shells, feathers, yarn and/or raffia to a mask form. Use a variety of color, shapes and sizes and have kids create pattern as they fill the mask like a mosaic. Even second grade can do a creative job on a mask project like this. These masks are also fine examples of texture. Be sure to discuss the different types of texture each material has. 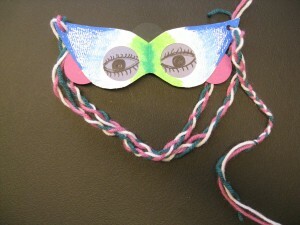 A simple mask for very young kids can be made from a colored poster board mask base with colorful attached yarn details. Draw geometric shapes on the mask with white glue, and then cover with yarn. Yarn can even be added to the top and sides to create hair. A variety of colored yarns is more interesting.